Client service is a critical function in any successful investment practice. Our Retire First Support Team is comprised of professional administrators who are highly trained to provide superior customer service and assistance to all of our Retire First clients. Each member of our support team will go the extra step to ensure that all of your expectations are exceeded. Feel free to contact our support team with account related questions, trade executions or any other service needs you have. Carissa has been with the Retire First team since February of 2010. She completed her post-secondary studies at both the University of Alberta where she studied sciences, and Grant MacEwan University where she obtained a Bachelors of Commerce degree. Carissa continued her love for education and has since completed the Canadian Securities Course, Codes and Conducts, Wealth Management Essentials, and the 90-day Investment Advisor Training Program; making her a trading registrant with IIROC. Carissa enjoys working with the clients of Retire First and is excited to continue to learn and assist the brokers and clients at our office. In her spare time, Carissa coaches a local cheerleading team and is passionate about teaching the young women she coaches about positive life skills. She also enjoys volunteering her time to the community. 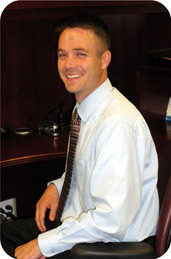 Tate started his accounting career after graduating from the University of Lethbridge with a Bachelor’s of Management in 2004. After moving to Red Deer in 2007, Tate completed his articling with MNP before receiving his Chartered Accountant (CA) designation in January of 2008. After receiving his designation, Tate stayed with MNP, where he specialized in performing accounting audits. Tate joined Retire First in the summer of 2011, bringing with him the diversified experience and expertise of working in a public accounting office for seven years. Tate has completed the Partners, Directors and Senior Officers Course as well as the Chief Financial Officer Qualifying Exam. Tate is married to his lovely wife, Amanda and they have two young daughters. When he is not busy working on accounting, he spends his free time spreading his passion for accounting to his students at Red Deer College. In Tate’s spare time he enjoys golfing and spending time with his family. Brigitte was thrilled to join the Retire First team in August 2011. With almost thirty years of experience in the financial services industry, she enjoys working at the front line of the office and as an assistant to the Financial Advisors, helping to provide the best service possible to clients and their families. 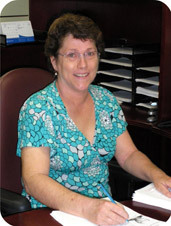 She greatly appreciates the new relationships with the staff and many clients of the company. Brigitte was introduced to the world of stock brokers in 1981 when she joined a brokerage firm in Montreal, Quebec as an assistant to the company’s Bond and Money Market departments. She has since worked with various types of financial institutions from brokerage firms, a trust company, a bank and most recently a privately owned financial services office. Brigitte first completed the Canadian Securities Course in 1985 and successfully re-instated her registered status in 2013. She is currently licensed to sell insurance products in the province of Alberta. She has also completed the Mutual Fund course and the Branch Manager’s course sponsored by IFIC. Born and raised in Montreal, Quebec, Brigitte is fluently bi-lingual in English and French. She has had the privilege of living in Vancouver and Ottawa but her heart belongs to Central Alberta. She moved to the Red Deer area in 1996 with her husband of 27 years, Darren, their two children and her Mom. In her spare time, Brigitte likes to work on renovation projects for their acreage, wine making, movies, shopping and spending as much time with family and friends as possible.